Although the Offline OWA functionality in Exchange 2013 is a great addition for those that cannot use Outlook (Anywhere with Cached Mode), but are frequently without internet. However, as the browser database in which Exchange OWA stores it’s information isn’t encrypted, it can be a security issue. It can be turned of via the Exchange Admin Center (EAC) via Permissions>Outlook Web App Policies and then edit the policies by double-clicking them. Navigate in the pop-up window to Offline Access and specify your required setting. 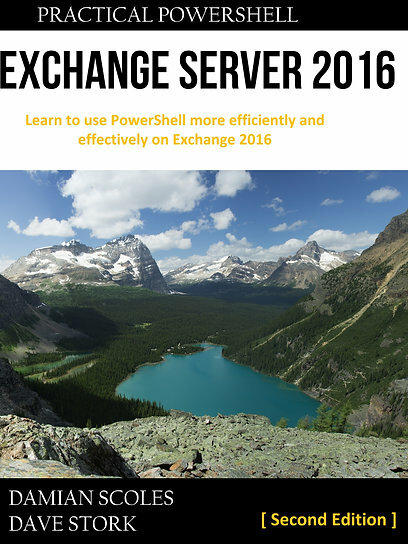 Via the Exchange Management Shell you have to use the Set-OwaMailboxPolicy cmdlet. The parameter is AllowOfflineOn, but the possible values aren’t really intuitive or correspond with those visible EAC. But checking the TechNet page of the cmdlet, we can find PrivateComputersOnly (offline only available when logged in as private. OWA assumes private as default, you can enable the public computer option), NoComputers, or AllComputers which is default. 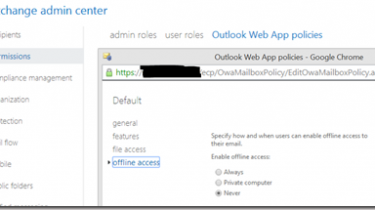 You could use a separate policy for those mailboxes that do require Offline OWA and assign that policy to the mailboxes.